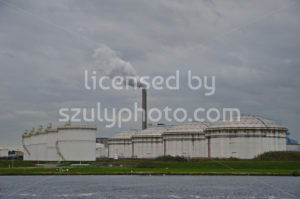 Amsterdam, Netherlands – October 11, 2017: The Gasdepot (Gas and oil depository) in the Petroleumhaven on the Ij river. 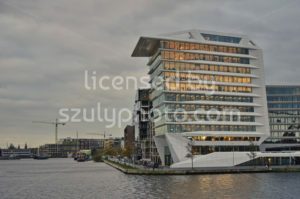 Amsterdam, Netherlands – October 11, 2017: North view of the PVH headquarters building on the Danzigerkade in Houthavens. 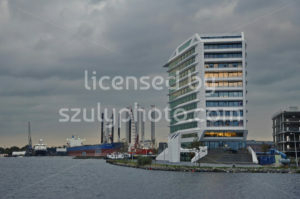 Amsterdam, Netherlands – October 11, 2017: East view of the PVH headquarters building on the Danzigerkade in Houthavens. 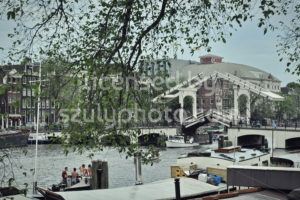 Amsterdam, Netherlands – June, 2017: View of the half open Skinny Bridge (Magere Brug) on the Amstel river, viewed from the west with passenger boats and house boats in the foreground under the summer trees. 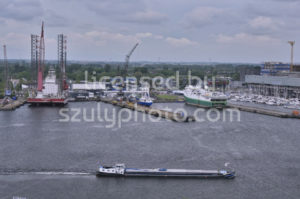 Amsterdam, Netherlands – May, 2017: The Marina viewed from Houthaven with the Seajacks Kraken, a self-propelled jack-up vessel on the left, a cruising transport ship in the front and docked sailing boats on the right under the cloudy sky. 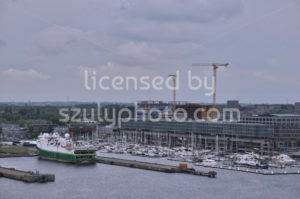 Amsterdam, Netherlands – May, 2017: The Amsterdam Marina on the North with docked sailing boats and a parking green transport ship, viewed from Houthaven under the cloudy sky. 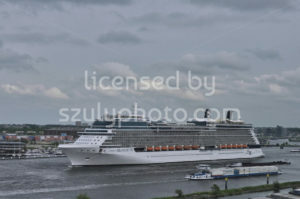 Amsterdam, Netherlands – May, 2017: The Celebrity Silhouette, a Solstice-class cruise ship, owned and operated by Celebrity Cruises leaving the Ijhaven in front of the NDSM cultural center. 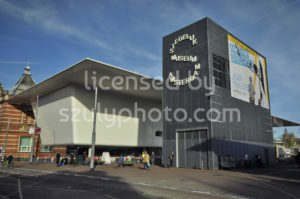 Amsterdam, Netherlands – November, 2016: View of the Museum of Modern Arts (Stedelijk Museum) from the Van Baerlestraat, with pedestrians on the street. 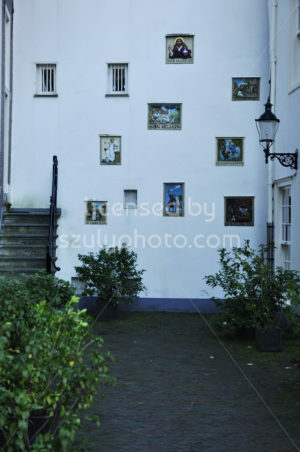 Amsterdam, Netherlands – November, 2016: Gable stones on the wall of a residential building in the Begijnhof public garden. 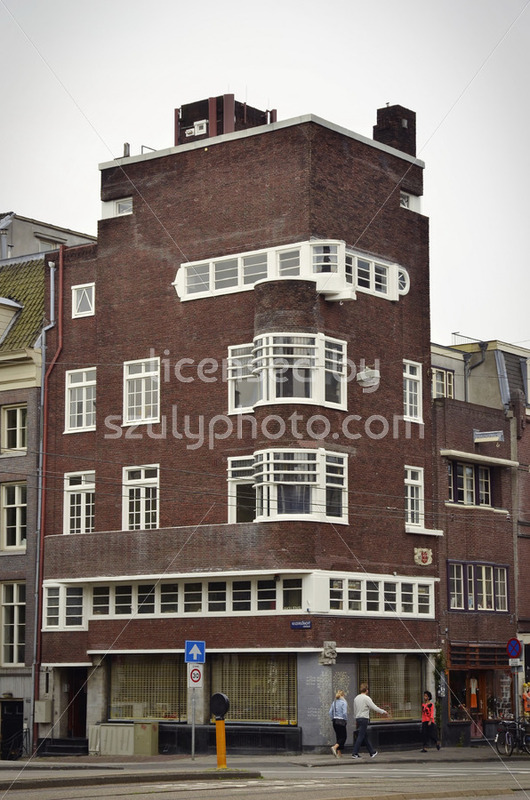 The landmark is located in the centrum, at the Spui street. 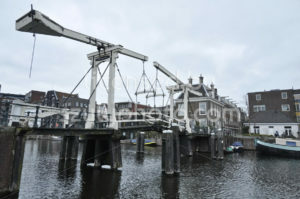 Amsterdam, Netherlands – January, 2017: The three herrings bridge (Drieharingenbrug) on the Realengracht canal, between the Bickers Island and the Prinseneiland. Amsterdam, Netherlands – January, 2017: View of the Museum of Modern Arts (Stedelijk Museum) from the busy Van Baerlestraat, with the tram 16 approaching from the left. Amsterdam, Netherlands – March, 2017: A young woman and man taking a selfie in front of the back of the Iamsterdam sign. 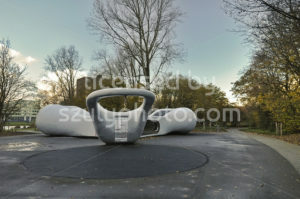 The famous landmark is located in the Museum district on the crowded Museum Square (Museumplein). 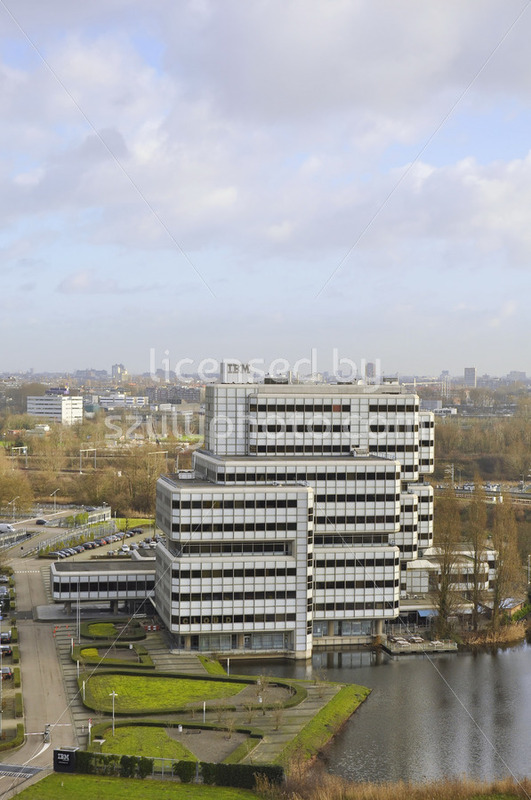 Amsterdam, Netherlands – 2015: Front aerial view of the IBM Dutch headquarters building on the Johan Huizingalaan, under the cloudy sky, with the skyline in the background. 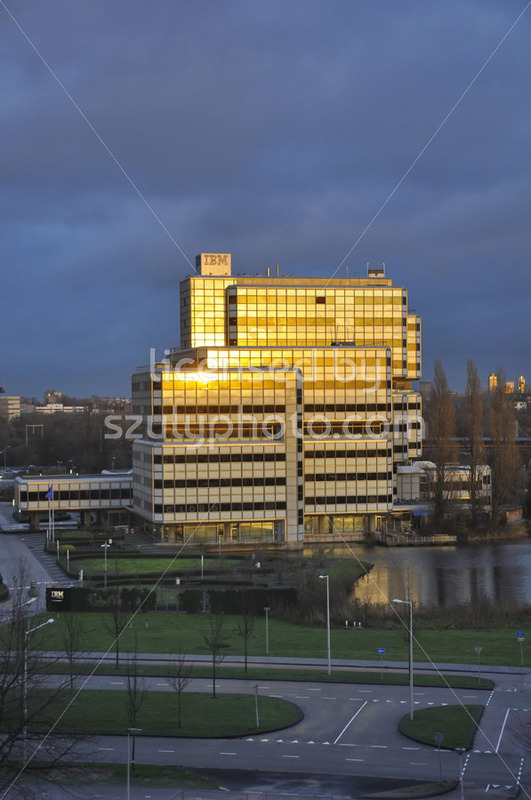 Amsterdam, Netherlands: Frontal portrait view of the white IBM Netherlands headquarters building in its environment, on the Johan Huizingalaan, with the sun reflecting on the building facade under the cloudy blue evening sky. 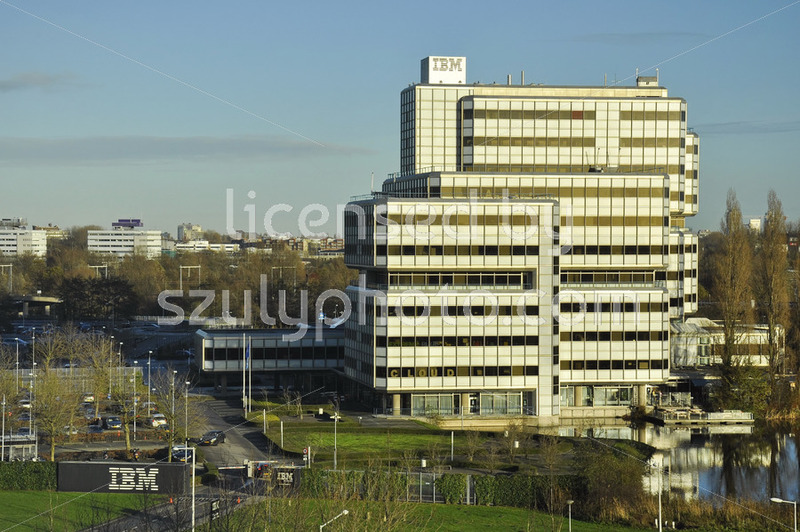 Amsterdam, Netherlands: Front view of the IBM office building on the Johan Huizingalaan in Slotervaart, under the afternoon sun and the clear sky. 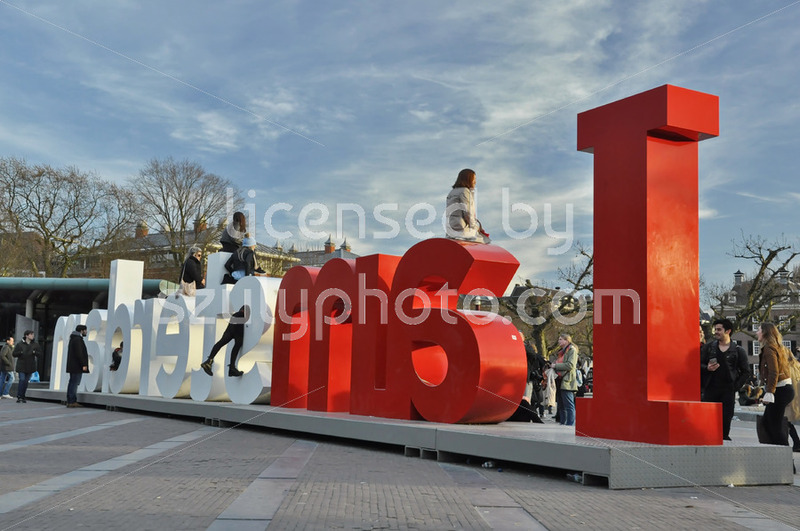 Amsterdam, Netherlands: Young tourists posing for a selfie at the red and white Iamsterdam sign in the Museum district on the crowded Museum Square (Museumplein). 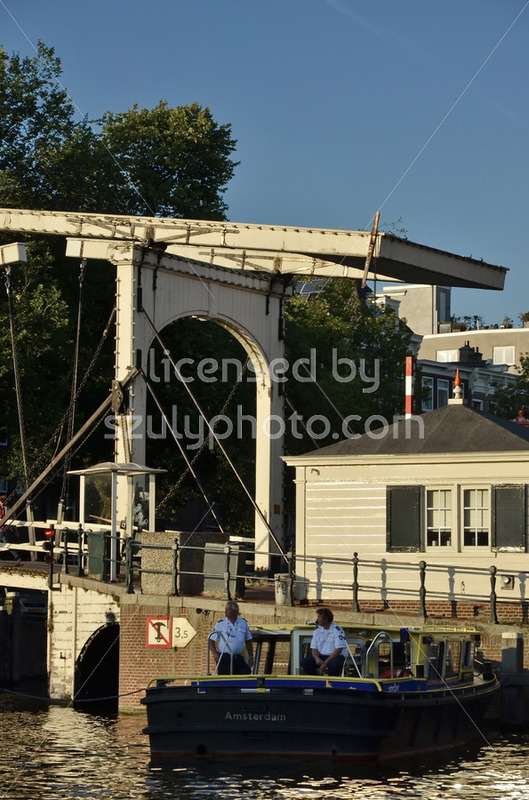 Amsterdam, Netherlands: A woman and a man officials from the water service company (Waternet), patrolling the traffic on the Amstel river on their boat next to the bridge on the Amstel river, near the Hermitage Museum. 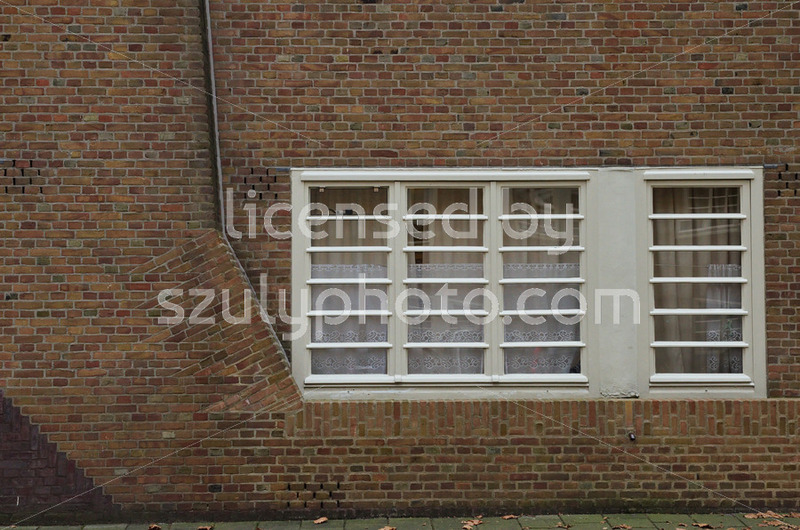 Amsterdam, Netherlands: Amsterdam School style residential windows of the De Dageraad complex designed by Michel de Klerk and Piet Kramer on the Pieter Lodewijk Takstraat. 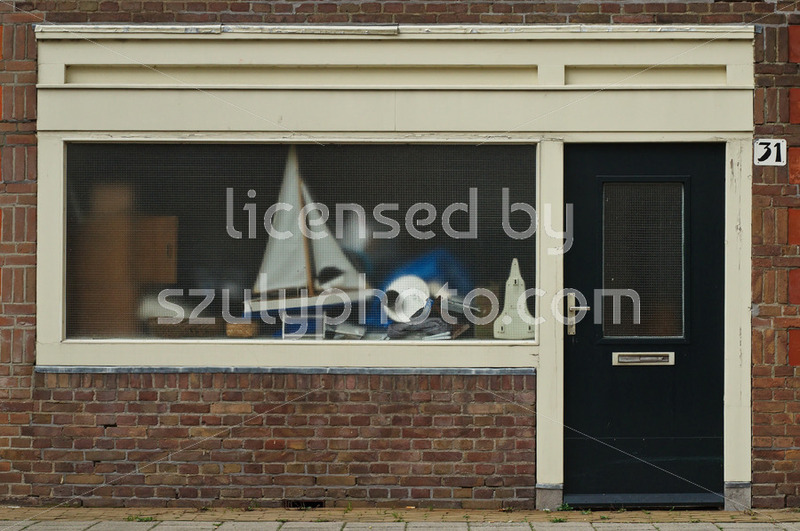 Amsterdam, Netherlands: Frontal view of a residential storage entrance of a red brick Amsterdam School style building, on the Cooperatiehof. 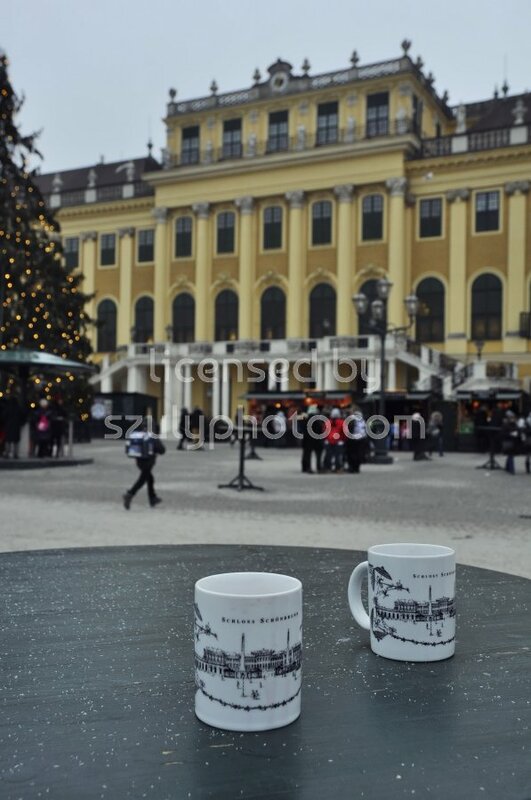 Vienna, Austria – December 21, 2016: Two white branded mugs with a print about the palace on top of a dark green table, in front of the blurred Schonbrunn Royal Palace, at the time of the traditional Christmas market.